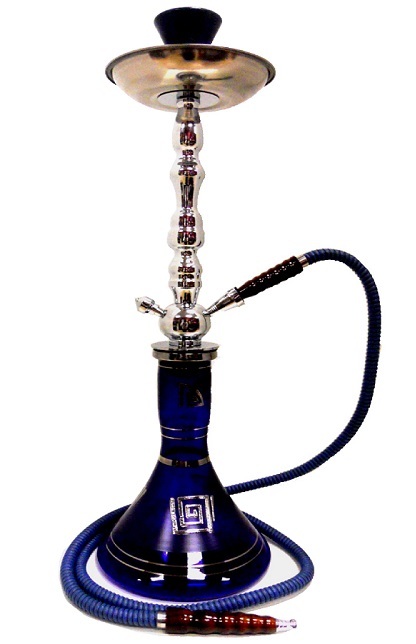 Hookahs were first used in the Middle East, and now these traditional smoking devices have become a very popular item all across the world. You might have enjoyed a hookah during a dinner or at an after-dinner event with friends. Who set up that hookah? You or your friend? Setting up a hookah is not that complicated and you definitely can do it in your home by yourself. Here's an easy guide to how to setup a hookah that will have you smoking in no time. Here is what you need to know about setting up a hookah in your own home. Your hookah needs regular cleaning, so make sure to keep it sparkling between uses. Disconnect all parts and wash it all, but do not wash the hoses, as they might not be water-safe. Use a long brush to get into the difficult parts. Let all the pieces air dry. Pour the water into the base until it covers about one inch of the metal stem. Plenty of space for air will make it easier to smoke. Smaller hookahs might allow you to cover only about a half-inch of stem. Remember, water doesn't filter out the smoke, so more water does not mean a safer experience. Besides, when hookah smoke is cooled, it presents a much more pleasing taste. Adding ice to the water can help ensure that you get the smoothest flavor possible. The metal stem should enter the water to the proper depth (usually one inch). Make sure the rubber piece at the top is fitted properly and airtight. You can make it fit tighter with a tiny bit of water. When learning how to setup a hookah, take great care with the hoses. The hoses fit into slots on the side of the shaft. You might have to hook up all the hoses if you have a larger model, even if you are smoking alone. Do not let the hoses touch the water! Put your hand on top of the hookah to block the air, and then try to inhale through a hose. You should not be able to pull any air. If you can, one of your connections needs to be tightened. Check them all and then try again. If one of them cannot be made airtight, you will need a new seal. Position the metal tray on top of the hookah shaft to catch ashes and other debris as they fall. Now that you know how to setup a hookah, it's time to learn how to smoke through one. Shisha is the tobacco used in a hookah. Choose the flavor you want – the options are literally endless. Look for something that is available from a high-quality maker, not something that you simply pick up at a store for a discount, which may give you a better experience. Break up the shisha and place it in the bowl. Sprinkle it around in smaller sections. The smaller it is broken down into, the better because this ensures the airflow is never inhibited. Take your time and fill the bowl to the top. Using aluminum foil, cover the bowl neatly. Poke a few holes in the foil with a nail, pencil or other sharp object (careful not to damage the bowl!) Put the bowl on top of the hookah assembly. Using an open flame, light one or two pieces of charcoal, depending upon the size of your hookah. Let the charcoal flare down to red coals. When they are ready, move them with tongs to the foil that is covering the bowl. Inhale through the hose with slow, normal breaths. The air will rush over the charcoal and down into the shisha, which will then create the smoke. Sit back and enjoy! Now that you have enjoyed the hookah, how do you clean it? The process is simple. Let the hookah cool down before cleaning it. Gather together your supplies: Lemon juice, water, baking soda and brushes. Take apart the hookah components, including the seals. Rinse the hose only if it is water-safe and set it aside. Dump out the used tobacco and ashes from the plate. Remove the stem from the base and carefully pour out the water. Wash the bowl and other portions with warm water. Run warm water down the stem to remove loose pieces of tobacco. Plug one end of the stem with your finger. Pour lemon juice into the other side. Use a brush to scrub the stem gently. If it needs more attention, add baking soda along with the lemon juice and scrub again. Repeat the process from the other side of the stem. Clean the base with water, baking soda and lemon juice. Swirl the mixture and then scrub it with a brush. Rinse it out with plain water. What Harms and Disadvantages Can Smoking Cause?